I was thinking of what to do with my lonely spinach bunch sitting in the veggie tray. I didn’t want it to spoil and be wasted so I ended up upcycling my leftover stir fry beef with mixed veggies in gochujang sauce. 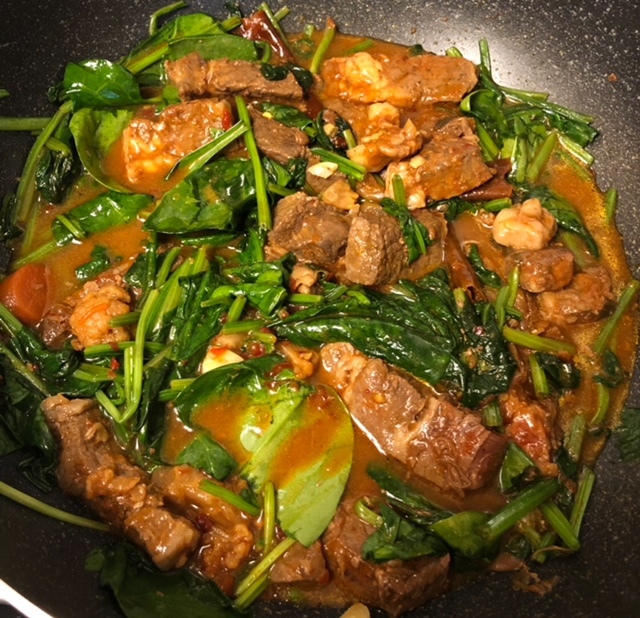 This time I sautéed garlic in olive oil, added the beef, loosely chopped spinach and sambal oelek. Lunch in 5 minutes, done.